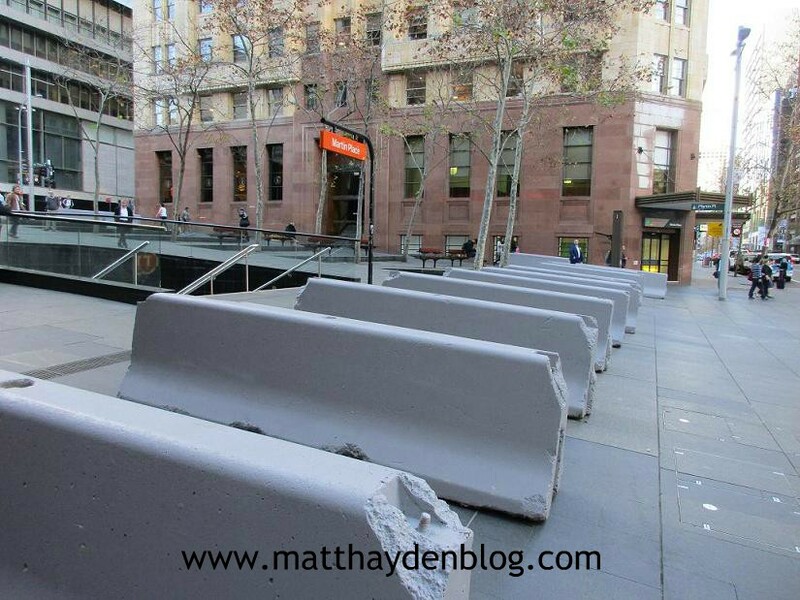 The barriers placed in Martin Place have caused much consternation. Not surprisingly, people find them both disturbing and depressing. They also find them deeply confusing. That's because they are, quite literally, concrete evidence that there is a threat of vehicular terrorism in Sydney -- yet the people who put them there can't bring themselves to speak honestly about what's, er driving it! Lord Mayor Clover Moore directed dozens of temporary barricades be set up in the CBD thoroughfare last week because of concerns about vehicles being used as weapons by terrorists. Mr Grant on Thursday blasted the mayor over the installation saying "no notification was sent to NSW Police, myself or the cabinet about bollards being introduced by the local council in Martin Place". "It is disappointing that the mayor's best intentions instead caused unnecessary panic and confusion, especially when there isn't a specific threat," he said in a statement, adding that it was "inherent upon us all to work together". However, email correspondence between City of Sydney staff and a NSW Police Counter Terrorism and Special Tactics Command coordinator - seen by AAP - show council did seek advice on "a quick and cheap solution for vehicle mitigation in Martin Place" days before the barricades were installed. Needless to say, this does not inspire confidence. You would like to think that on an issue as important as terrorism, all levels of government would be on the same page, and coordinating smoothly. No one in government seems to want to be honest about why so many members of a certain religion have been running amok across the globe hacking people's heads off, blowing them to bits and crushing them to death with trucks and cars. I'm sure they all know, as do most of the population. But their attitude seems to be: “Whatever you do, don't scare the sheeple!” And they're in disagreement over how best to achieve that aim. What's interesting is that Grant himself said “there isn't a specific threat”. That's a bit of a disingenuous statement, IMO. There is a very specific -- or at least unequivocal -- threat that has come from Islamic State. They have repeatedly exhorted their barbaric goons to use vehicles to crush as many infidels as possible -- most recently during Ramadan. 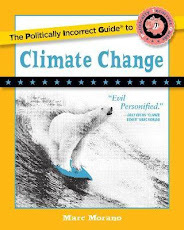 And we know they were serious about it because that's exactly what they did in several cities across the globe. Still, it's possible that the NSW plods don't have any knowledge of detailed, advanced plans to target a specific site. In that case, why choose one in particular (Martin Place) to have barriers in place? Seems pointless if you consider Grant's statement, right? I mean, hell, these maniacs could strike anywhere, so why take any kind of pre-emptive action at all? I think there are two reasons for this. One, it's symbolic. Our leaders want to look like they are doing something, no matter how ineffectual it appears to be. Then when the inevitable attack does occur, they can't be accused of being completely asleep at the wheel -- or rather, stop sign. The other reason: Martin Place is far more likely to be attacked than any other location, even if there's no hard evidence for that claim. In any case, the fact that the barriers have been placed in Martin Place first gives the lie to Clover Moore's publicly stated belief that the Sydney Siege was not actually a terrorist attack -- which, as far as I know, remains her position. She said that Monis was motivated primarily (perhaps entirely) by mental illness; that his actions were not part of some grand political or ideological goal. In other words, they were like a lightning strike. In that case, why did she (or her office at least) choose Martin Place as the location for these barriers? Does she have some gut feeling that lightning could strike there twice? Or maybe she isn't quite that daft. Seems more likely to me that she actually believes Islamism (and by extension Islam) is behind the current threat to this exact part of the city, just as it motivated Man Monis's lethal behaviour in the same place two and a half years ago. She just can't bring herself to be honest about it, that's all. Or, to move the conversation even closer to the cold hard Truth - to reality - that there is a 9999 to one chance that whomever perpetrates the next mass murder will be a follower of the author of the Mein Korraanpf. A follower of the false fuehrer, Muhummud. Will, that is, be a moslem. And by any other name. Maybe a good coating of bacon fat will - no, on second thoughts, just forget I said that.